I’m pedaling along the street near my house, headed to a friend’s apartment for dinner on a relaxing Friday evening. A couple blocks into my ride, though, I hit a busy area and immediately feel cars on my tail, revving their engines, drivers no doubt angrily fuming behind the wheel and wondering why they’re stuck behind this silly cyclist. If you’ve ever ridden a bike in the street, I bet you’ve had this experience. When bike riders end up in car traffic, the vehicles behind them inevitably have to slow down because of the basic fact that bikes are slower than cars. Drivers become frustrated with the delay and bike riders feel threatened by the close proximity of fast-moving cars. It’s a bad situation for everyone. In the last month, two people close to me have been hit by drivers while biking. These instances both happened in broad daylight, to experienced riders who were traveling within the flow of car traffic. Also in the last month, I’ve gotten back on my bike after several months of infrequent riding. Every trip reminds me how perilous this mode of transportation is when coupled with fast-moving vehicle traffic. But every trip also reminds me how practical and affordable bike riding is. Each minute on my bike is a minute I’m not using up gas and incurring wear-and-tear on our family’s car. Each time I lock my bike at a new destination, I’ve saved myself $1.75 in bus fare. Each pump of the pedal is time spent in practical exercise, not at a gym that costs me $40 a month to utilize. More significantly, every time I ride my bike, I’m saving my city money by riding a lightweight vehicle that doesn’t damage the road and rack up maintenance costs for which my local government has likely not budgeted. What I’ve realized, as someone who both bikes and drives, is that drivers benefit a ton from bike lanes; they just might not realize it. The average driver’s reaction to a bike lane being installed in their neighborhood or along their commuting route is anger that precious road space has been taken away from cars and given over to bikes. 1. Bike lanes make driving easier. 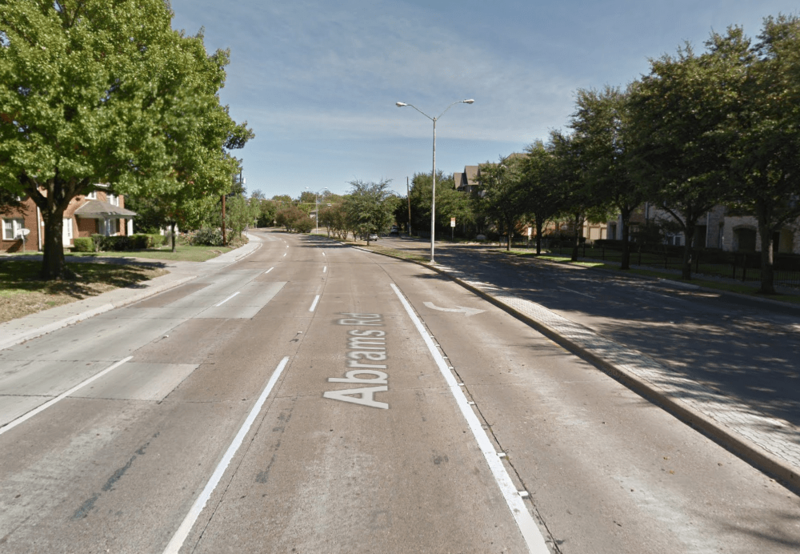 Let’s review the scenario I outlined in the beginning of this article: If I had had a bike lane to ride in rather than having to ride directly in the flow of car traffic, I could have easily and safely biked, and cars could have easily and safely traveled past me, their speeds unhindered by my presence. Now, the bike lane would have narrowed the lanes of traffic a bit, so the overall speed of the street might have decreased slightly, but traffic flow would be consistent—no more sudden slow-downs as a result of getting caught behind a cyclist. Marked bike lanes also make the rules of the road much clearer for everyone. For drivers, there’s no more need to speed up and veer around a slow-moving person on a bike, or feel confused about whether you can pass the biker within your lane. The bike rider is in his space and the driver is in hers. 2. Bike lanes make better use of one of your city’s most precious resources: land. Imagine you’re a part-owner of a local restaurant. You’ve invested some money to help the restaurant get started, and now you have a 10% stake in the business. One day, you stop by for a bite to eat and you notice that there’s an entire room—over a third of the restaurant’s space—that’s sitting completely empty. How would you react? You’d probably call your fellow business partners together or talk to the general manager and insist that the space be put to better use. Maybe it could be rented out for special events. Perhaps you could add a second kitchen there and use it for catering. If nothing else, maybe staff could at least start storing extra supplies in there to free up space in the main dining area. But whatever happens, you know that, as an investor whose money is helping to pay the rent for that storefront, you don’t want to see an inch of that extra room go to waste. Our streets are not so different. For much of the day, many streets in your city (and especially the parking lanes) are sitting utterly empty. (Take a tour of some examples across America in these photos.) The investment that you make in your city via taxes pays for things like these roads, and it's being completely wasted. This is an imperfect metaphor, but the key point is that, with a small amount of effort (i.e. painting a bike lane in the street), your city could take a very valuable local resource—land—and put it to much better use. Adding bike lanes unlocks huge potential for people who might not be willing to bike without them. And there are many places we can do it with very minimal impact on the space available for cars. 3. Bike lanes save your city money—and that saves you money, too. As the Urban Institute, a nonprofit research center, reports, “Highways and roads were the sixth-largest source of direct general spending at the state and local level in 2015, and they have been since 1996. Before that, highway and road spending fluctuated between ranking fourth and fifth as a share of total state and local spending.” In total, in 2015, state and local governments spent $168 billion on highways and roads. With a comparatively tiny amount of money, cities could stripe bike lanes on the streets where they’re most needed and enable many more residents to choose biking over driving for at least some of their travel needs. With a little bit of additional money, cities could use cones, bollards or planters to create protected bike lanes where residents can even more safely cycle. These small investments have the potential to seriously lower maintenance costs for the streets and roads in your city because bikes create minuscule wear-and-tear compared with cars. If you’re a bike lane skeptic, I hear you. This form of street design is still new and largely unheard of across much of America, including in my own city until very recently. It makes sense that you’d be concerned about changes to familiar streets in your town. But I hope I’ve elucidated some logical points here: Bike lanes make streets safer and easier to navigate for everyone. They also put those streets to far better use than their current design does. Finally, bike lanes have the potential to save our cities tremendous amounts of money on one of the most expensive infrastructure items in our municipal budgets. Let’s put our streets to the best use possible. Let’s ensure that our tax dollars are getting a good return on investment. And let’s make our communities places where everyone can safely and affordably get where they need to go. That’s how you build a strong town.